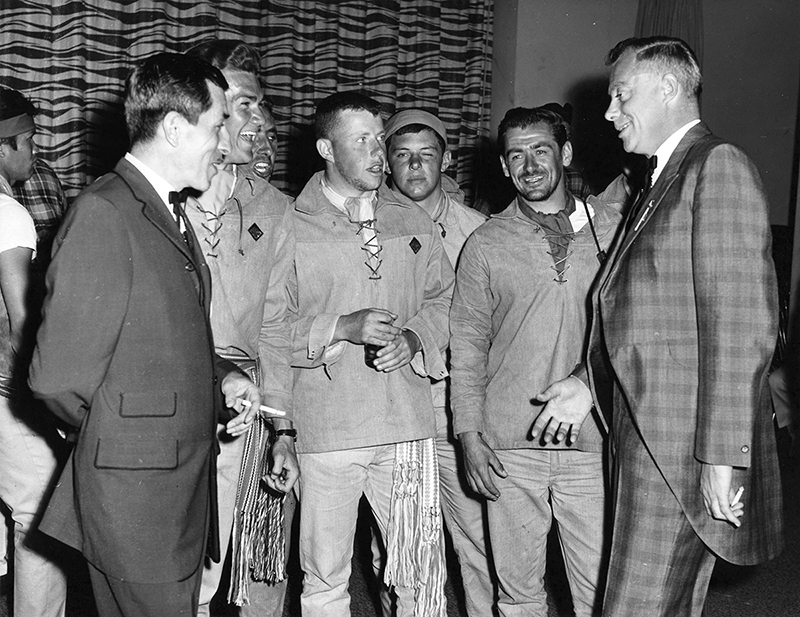 There were a number of major federal Centennial initiatives undertaken to unite the country around the 1967 celebration. These ranged from the song “CA-NA-DA”, written by Edmontonian, and former Happy Gang cast member, Bobby Gimby, to the creation of millions of pins and other ephemera bearing the official Centennial symbol. 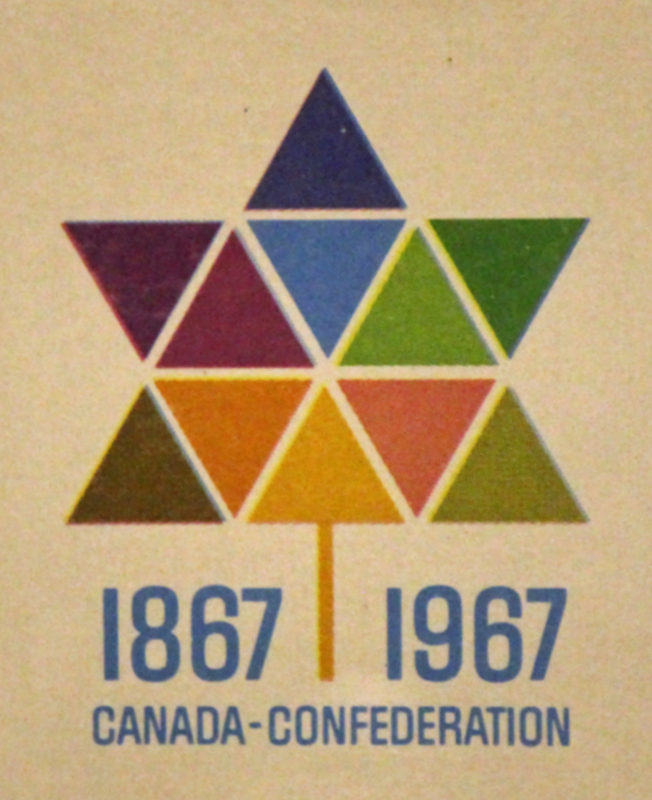 The official symbol for Canada’s Centennial was a stylized version of a maple leaf, designed by 24-year-old Stuart Ash. A manual was created to guide people on how to use it, and a limited number of variations were allowed. The symbol was put in the public domain and could be used free of charge. The symbol served as a unifying element of the celebration, and was used extensively throughout the country, greatly increasing awareness of the Centennial. The Canadian Armed Forces Tattoo, a military pageant combining music and history travelled all across Canada. 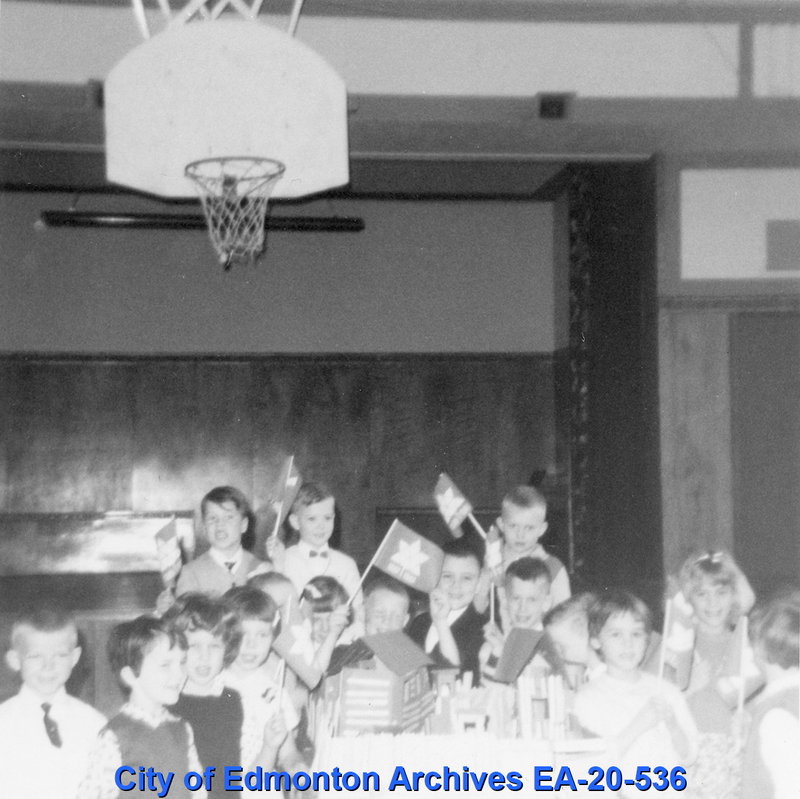 It was held at the Edmonton Gardens from May 11-13, 1967. It was one of several Centennial projects undertaken by Canada’s military. 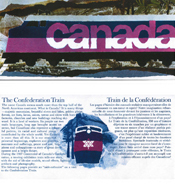 One of the most anticipated Centennial events was the Confederation Train. The Train toured the country, and each car told a different part of Canada’s story. The Train stopped in Edmonton at the CNR station downtown and the Edmonton Exhibition Grounds. For those who couldn’t make it to a large city, Confederation Caravans served a similar role at smaller population centres across Canada. Crown corporations like the Canadian Mint and Canada Post also got involved in the celebrations. The Mint produced a set of commemorative coins as well as 5.5 million Centennial medallions, many of which were distributed to school children as a way to get kids involved in the celebrations and teach them that they were part of something special.